It provides conditions for the sale of food from farmers' own crops, processed by farmers in a traditional, homemade way. It returns to farmers their natural right to produce and sell food, and to consumers it gives easy and direct access to this food. Good-quality food on our tables is the basis for the good health of the entire nation. 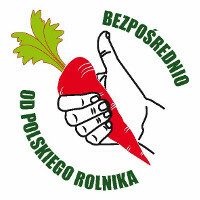 I want to have easy access to such food from Polish farmers. I demand that this Bill is introduced and put into affect immediately, without blocking small and medium size family farms with sanitary, hygiene and other regulations that are created in favour of big companies and not individual farmers. The most important question is: will words be followed by actions, or was the pledge to help small farmers just another case of pre-election propaganda? By signing, I authorize International Coalition to Protect the Polish Countryside - ICPPC to hand over my signature to those who have power on this issue.